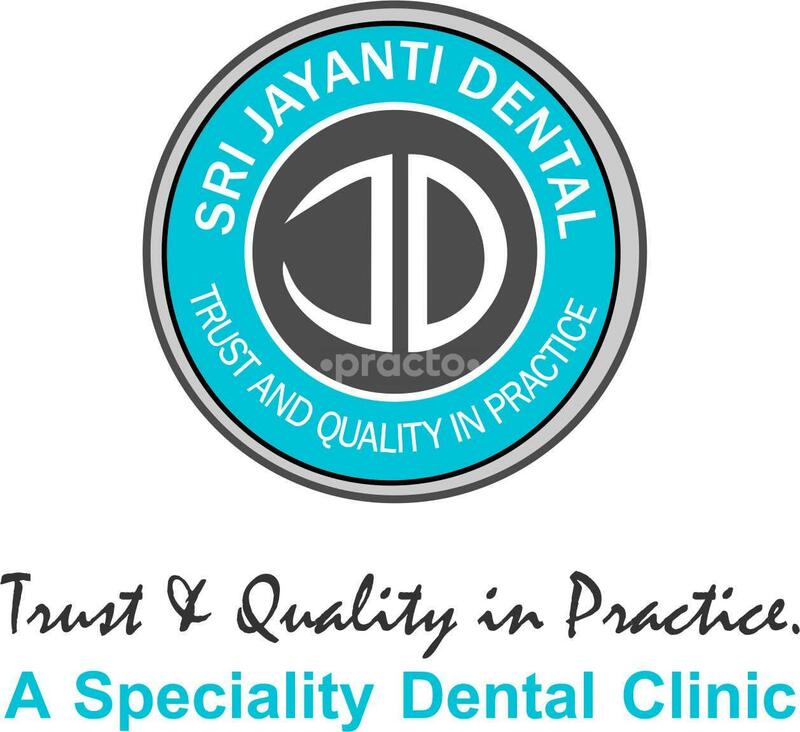 SRI JAYANTI DENTAL is a single branch clinic established in 2017 in kondapur, botanical garden road. the sole purpose of starting this clinic is to serve the patients with utmost care and well informed treatments with the best quality materials which will be kept for use, we work 24/7 for wellness of our members(patients). The patient can come anytime and have their treatments done depending on their free time and availability, we spend enough time with each patient and make sure they are well informed and satisfied by the treatments, as there are many dentists out there to give you the best services we are thriving to provide you the greatest of the best here at SRI JAYANTI DENTAL, we assure your satisfaction by our work and don't forget to have your visit for the best of all treatments. I suggest Dr. Raja to all my dental-cavities community. His work is professional and focused to solve the complex dental issues. I had a successful and best experience with the doctor in solving multiple dental issues included cavities, implants and filling.Thank you doctor and All the best for your future endeavors. Dr. Raja is amazing person and recommend him for all dental problems. He handles his patients vary well, make them understand about the issue and subsequent treatment procedure. The best part is, he is just a phone call away. He extracted my wife's wisdom tooth at 11.30 in night. The most satisfying thing was, he replied in an abnormal time by understanding the emergency. I visited him the next day itself and got treated. Dentists who care about our problem and resolve with care are less, and I found one. Thankful for the treatment. Good luck! Thanx a lot sir for your kind words.